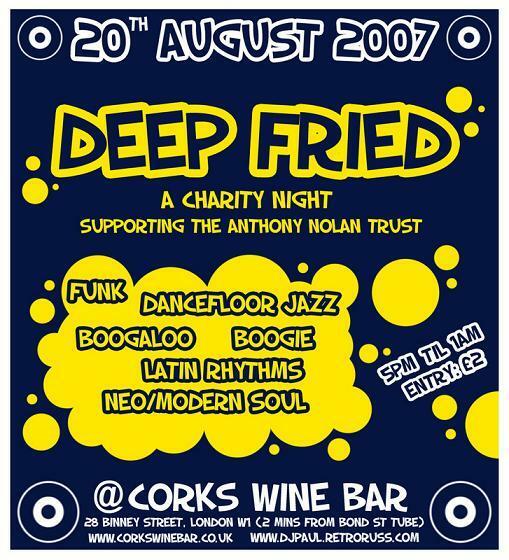 Sorry for the short notice, but this is going to be an excellent night and is for a really good cause too. You should get down to it if you can! It's organised by my friend Paul Leney (www.djpaul.retroruss.com) and also features the fantastic Perry Louis from the Jazzcotech dancers (www.jazzcotech.com) too. Both of them are top DJs and have DJ'd for me at Right On! nights in the past. 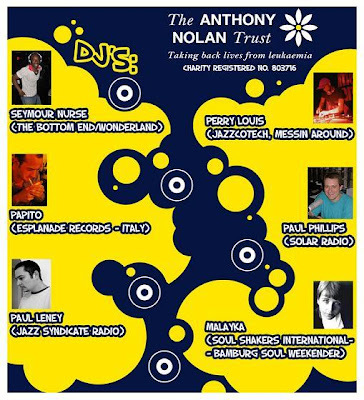 There are also other DJs flying in from all over Europe to play on the night too.